PARK Joong-hoon has always enjoyed the reputation of ‘top star’ in the Korean film industry. After his feature debut film with another leading Korean film star KIM Hye-soo (The Face Reader, The Thieves) in filmmaker LEE Hwang-lim’s 1986 film Kam-bo, he gradually built his career as the most bankable film star through an outstanding track record which includes films such as Springtime of Mimi and Cheol-su (1987), Two Cops (1993) and Nowhere to Hide (1999). PARK, who has experienced the best times of his life as an actor, is now channeling his talents toward film directing. Following the footsteps of younger colleagues such as HA Jung-woo and YOO Ji-tae, who each directed Fasten Your Seatbelt and Mai Ratima, the veteran actor of 28 years is presenting his first directorial feature Top Star, which explores the other side of show business through the crossed life paths of top star Won-joon, played by KIM Min-jun, and his ex-manager who fulfills his dream of becoming an actor Tae-sik, played by UM Tae-woong. Who could tell a story like this better than PARK Joong-hoon? PARK’s life as an actor has been as dramatic as Top Star’s leading man Tae-sik. PARK as a teenager, determined to be an actor, finally made this a reality when he turned twenty. He became the most popular youth star with the spectacular success of Springtime of Mimi and Cheol-su, in which he co-starred with Korea’s most beloved female star KANG Soo-yeon in 1987. Nevertheless he chose a different path from his other youth star peers by working on serious art house films that reflected social realities, such as PARK Kwang-su’s Chil-su and Man-su (1988) and Black Republic (1990), and JANG Sun-woo’s A Short Love Affair (1990). He then left for the U.S. to pursue an education. Three years later in 1993, he returned to star in KANG Woo-suk’s comedy Two Cops which became a box office hit and put him right back into the race and his second phase of fame. 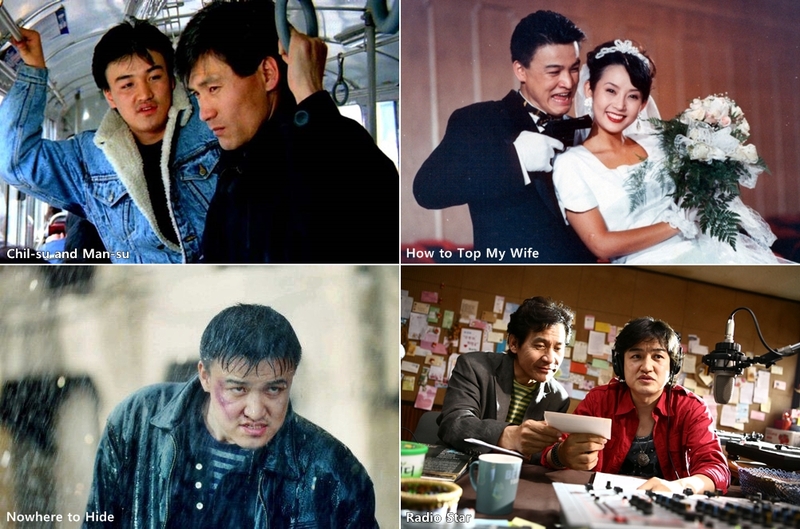 PARK’s streak of success continued with comedies like How to Top My Wife (1994) and Millions in My Account (1995), along with JANG Hyun-soo’s action noir The Rules of the Game (1994), until he reached a turning point in his life with the 1999 film Nowhere to Hide. This film, directed by Korea’s top visual artist LEE Myung-se, received rave reviews from foreign journalists and Hollywood, including from Jonathan Demme, the director of Silence of the Lambs. This eventually led to the opportunity for PARK to star in a major Hollywood film alongside the likes of Mark Wahlberg and Thandie Newton in The Truth About Charlie (2002). Returning to Korea, PARK proved that he was still a name to reckon with through collaborations with filmmaker LEE Joon-ik on his films Once Upon A Time In A Battlefield (2003) and Radio Star (2006), not to mention the blockbuster hit which attracted 11.44 million admissions nationwide, filmmaker JK YOUN’s Haeundae (2009). He was reunited with KANG Soo-yeon for the first time in 23 years following their collaboration on Springtime of Mimi and Cheol-su to work on IM Kwon-taek’s 101st film Hanji (2011), while also co-starring with next generation star JUNG Yu-mi in the romantic drama My Dear Desperado (2010). Clearly, after 28 years of being in the business, he still has lots to offer. So, how is he as a filmmaker? Through this tale of an ordinary person turning into a star and then back to an ordinary person, he is warning his fellow actors to be careful not to ‘forget the time when they first started out,’ which is heartfelt advice he is giving from his own experience of being in the business for years. The film looks average, the narrative is predictable and there is nothing really new about his directorial or editing skills, but none of this poses a serious problem. At the very least Top Star, allows one to anticipate his next directorial feature. We just have to wait and see whether he will become a ‘top star’ in the world of filmmaking.